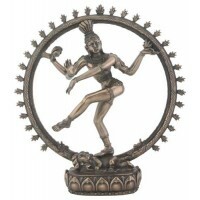 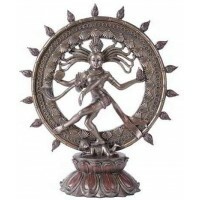 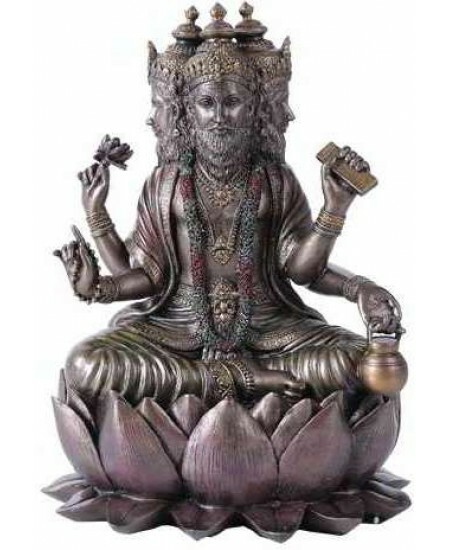 Brahma, the Hindu Creator God statue is finely detailed in bronze infused cold cast resin and stands 8 inches high. 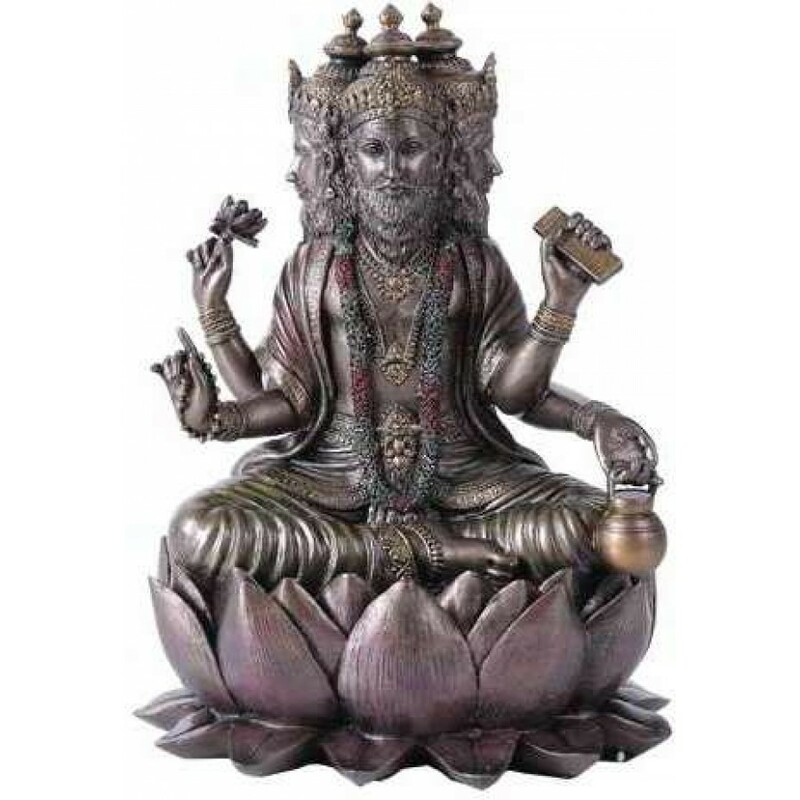 Brahma is the creator god in the Hindu tradition with 4 faces looking in the four directions. 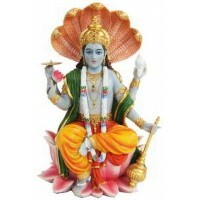 Brahma, along with Vishnu and Shiva, is part of a Hindu Trinity. 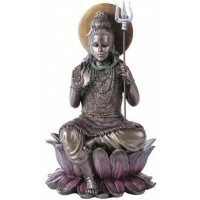 Here is in rendered in bronze cold cast resin with amazing detail. 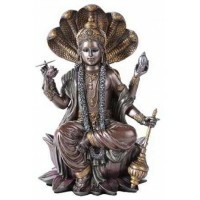 This stunning statue measures 5 3/4 x 4 3/4 x 8 inches with hand painted color accents. Item Number: PT-11271 | Approximate Size (Inches): 5.75 wide x 4.75 deep x 8.00 high | Approximate Shipping Weight: 3.00 lbs.